In the South China Sea, a 2°C rise in the sea surface temperature in June 2015 was amplified to produce a 6°C rise on Dongsha Atoll, a shallow coral reef ecosystem, killing approximately 40 percent of the resident coral community according to a study published in Scientific Reports this week. Wind and waves churn the sea, flushing shallow-water coral reefs with seawater from the open ocean to help them stay cool. 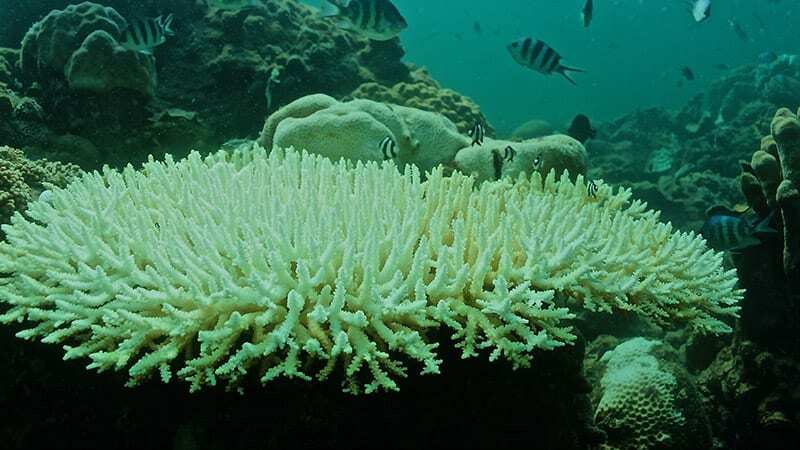 But according to new research from the Woods Hole Oceanographic Institution (WHOI), when the weather turns still and these natural cooling mechanisms subside, just a few degrees of ocean warming can prove lethal to the corals that live there. Scientists at WHOI studied this phenomenon in June 2015 while conducting research on Dongsha Atoll, an almost perfectly circular coral reef in the remote South China Sea. The research, conducted in collaboration with researchers from UC Irvine, Old Dominion University, and National Sun Yat-Sen University, highlights the devastation caused when global-scale ocean warming interacts with short-lived weather anomalies, and adds urgency to the question of how reefs will fare through the end of this century. According the DeCarlo, who is now a postdoctoral researcher with the University of Western Australia, it only took a few days of calm winds and waves before the reef lost its supply of cooler water from the open ocean. 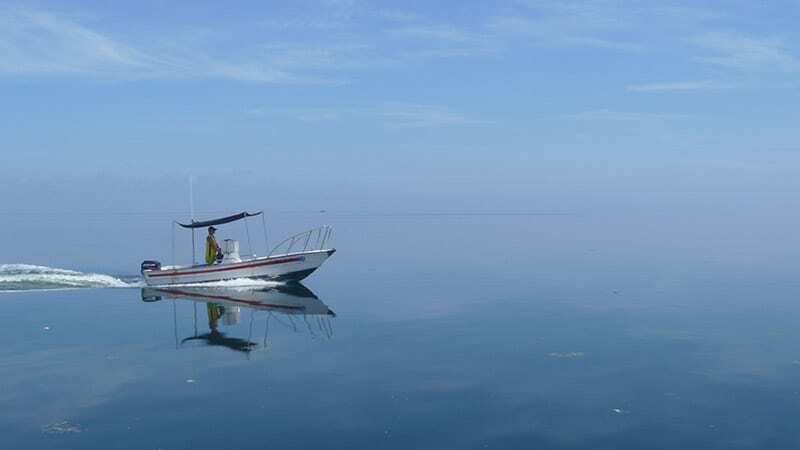 “We saw water temperatures surge to 36 °C (97 °F) – a full 6° C above normal summertime temperatures. This caused 100 percent of the corals to bleach, and 40 percent of them died,” he said. DeCarlo, WHOI scientist Anne Cohen, and dive master Pat Lohmann, witnessed the start of the mass die-off on the last day of their month-long field visit to Dongsha. 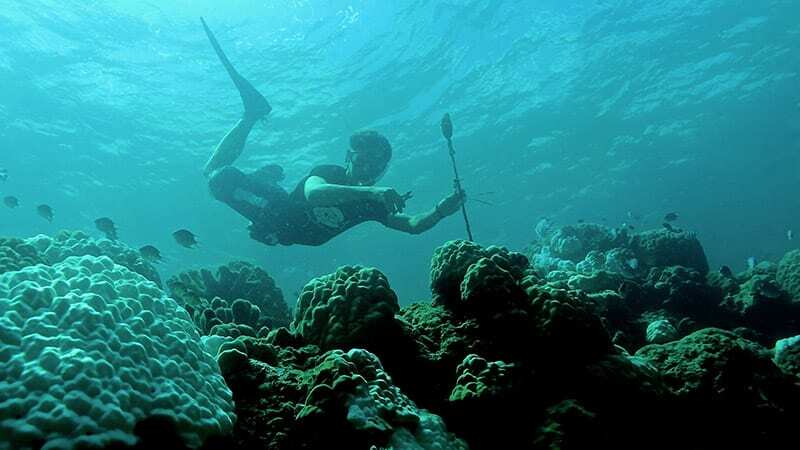 They had just finished up an ecological survey of coral cover on the reef, and before heading home, jumped in the water to retrieve instruments they use to monitor water temperature, pH and currents. “That’s when we saw that all the corals had turned white,” said DeCarlo. “We had to catch our flights the next day, but the situation looked dire so Anne sent us back out to the site within a few weeks. The team suspected the amplified warming was due to the weather lull, but they couldn’t automatically rule out the possibility that fewer clouds and more sunlight in 2015 versus previous years had caused the event. To test this hypothesis, DeCarlo and co-author Kristen Davis, using data recorded by instruments deployed on the reef, conducted a number of “heat budget” calculations to hone in on the specific factors that drove the extreme heating. “We saw that air-to-sea heating mechanisms like sunlight and air temperature had remained nearly constant throughout June, but the wind- and wave-driven currents pushing in cooler offshore water were essentially turned off for a few days. 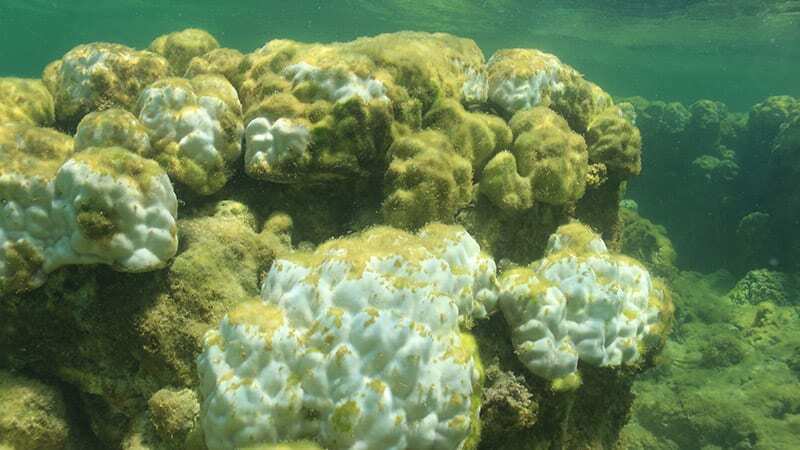 This was the big change that caused the water temperatures to spike on the reef, so our hypothesis was correct – the unusually calm weather pattern was the primary culprit,” said DeCarlo. Water temperatures stabilized in early July as the winds and waves finally kicked up. But the widespread damage had already been done. Given the magnitude of the event, the scientists wanted to know if this reef had experienced similar temperature extremes in the past, and if so, whether the corals recovered. According to Cohen, however, few historical bleaching data existed for the region. “This is a super-remote place that takes two hours to get to by plane from mainland Taiwan,” she said. There were unpublished accounts of bleaching in 1997, but the severity and extent of that event were not quantified. 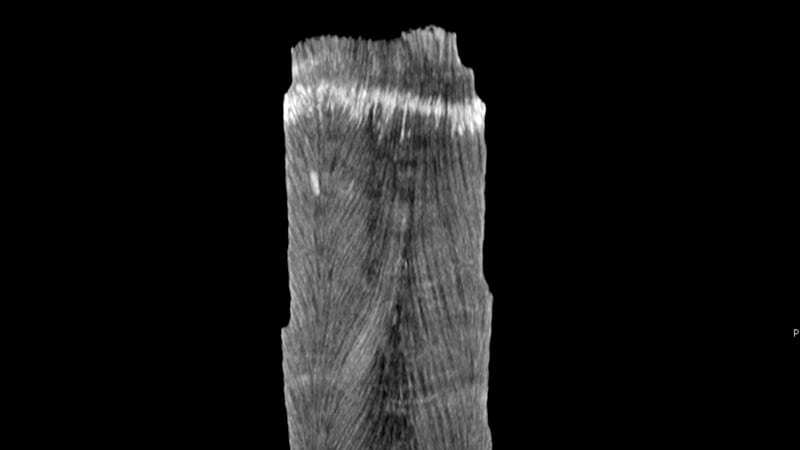 Without precise historical records, the team drilled core samples from corals living on the reef and used Computed Tomography (CT) scans to look for signals of thermal stress in the past. The scans, which look like an x-rayed mop handle, reveal annual rings or “bands” of varying densities in the coral’s skeleton. The study highlights the consequences for shallow-water coral reefs when global warming intersects with short-lived weather anomalies. 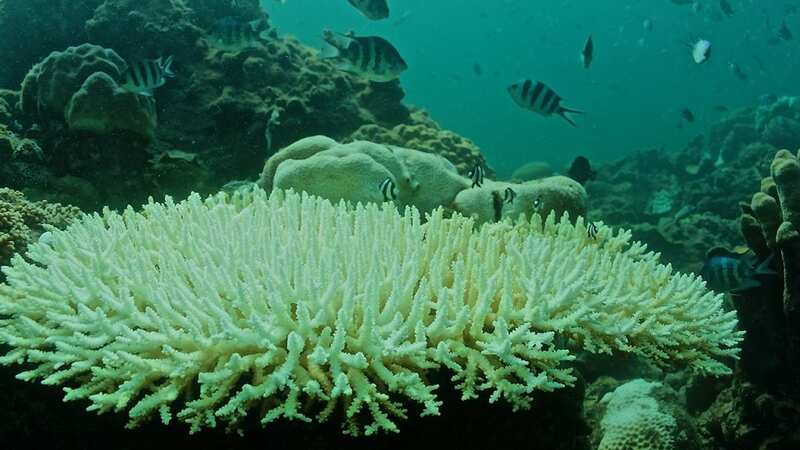 But the scientists say their observations also suggest the possibility that climate model projections may underestimate what some coral reefs will experience as the ocean continues to warm over this century. This research was funded by the National Science Foundation, the Sustainability Science Research Program of the Academia Sinica, a WHOI Coastal Ocean Institute, and a National Science Foundation Graduate Research Fellowship.